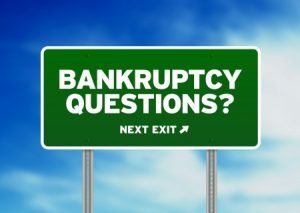 Unsure about bankruptcy? A bankruptcy attorney can help. Unsure About Bankruptcy in Central Florida? Speak To A Caplan Attorney and learn more. If you’re unsure about whether or not Bankruptcy is the right solution for you, you are not alone. Most of our clients come to us with many questions, and we’re here to help you in any way we can. This is why our firm offers a free consultation to those considering bankruptcy. In our experience, the overwhelming majority of folks searching for a bankruptcy attorney receive valuable information that saves them considerable time and money. Just as importantly, this interaction gives them peace of mind. Make an appointment today to explore your options from our experienced and reputable team. Depending on the circumstances of your situation, Chapter 7 and Chapter 13 bankruptcy might be worth considering. Each Chapter of bankruptcy has different benefits for different circumstances. To learn more about each option, you can begin by exploring the links below. We know how confusing Bankruptcy can seem and that is why we are always available to our Central Florida community. The Caplan Bankruptcy and Family Law Firm team is always available to provide assistance and guide you through any concerns that you may have.